The price (plan price) is already so very low. There is always a pressure on price. The market needs to improve: Rajan Bharti Mittal. Kolkata: Cellular services major Bharti Airtel accepts that in the midst of gigantic dying within the final few quarters the company will not decrease call and data prices further, and as as it were three enormous players are competing for the India's telecom pie, the advertise will balance out with the enhancement of ARPUs (average revenue per user), a key execution parameter. Talking to TOI on the sidelines of the recently concluded 5th Bengal Worldwide Commerce Summit (BGBS) here, Rajan Bharti Mittal, the VC & MD of Bharti Enterprises, said: "The price (plan price) is already so very low…There is always a pressure on price but something must move the needle. The market needs to improve. And we hope that it will happen. The market structure needs to be managed and pricing needs to move up." Answering to a question on whether he might see a ray of hope amid this turbulent days for telecom operators other than Reliance Jio, he said: "Now, only three players (Bharti Airtel, Vodafone Idea and Reliance Jio) are left. I believe that the market will stabilize now along with the improvement of ARPUs (average revenue per user). The worst could be over." The onset of Reliance Jio's low pricing strategy has seen the other telecom players like Bharti Airtel and Vodafone-Idea dying lavishly within the recent quarterly results. Bharti Airtel posted about 72 per cent drop in net profit for the three months through December 31 at Rs 86 crore compared with a profit of Rs 306 crore within the year-ago quarter, whereas Vodafone Idea, India's biggest telecom firm by number of supporters, reported a minimal increase in net loss of Rs 5,005 crore within the same quarter. Within the third quarter of the current financial year, Reliance Jio had posted an ARPU of 130, which was way ahead of Bharti Airtel (104) and Vodafone Idea (89). 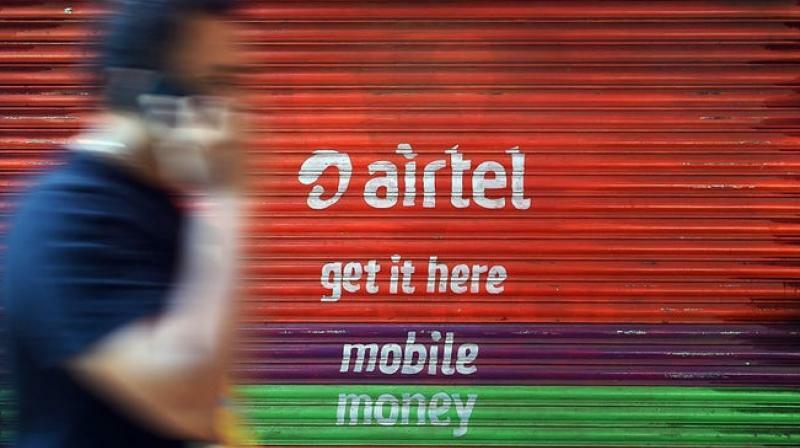 Bharti Airtel, as well, had recently expanded the benefits of its popular monthly Rs 199 plan with 1.5GB per day (42GB for 28 days),100 national SMSs per day and unlimited calls. Vodafone Idea as well offers a comparable plan of Rs 119 and its customers get unlimited voice calling and 1GB data with 28 days validity. On the other hand, Reliance Jio's Rs 98 plan offers 2GB data for 28 days, 300 SMSs, unlimited voice calling and national roaming. The Bharti Undertakings VC too encouraged the government to cut down the GST rate on the telecom sector. "And now the government must now also step in and help the telecom operators by reducing levy and GST. " Mittal said: "You have seen that the market is growing and we are holding a big market share everywhere in India. Every year, we end up investing close to $3 billion in the telecom arena in India."